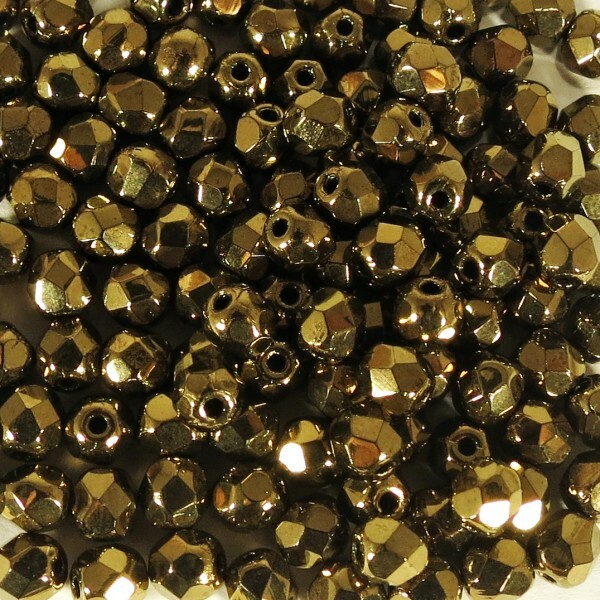 Czech fire polished beads, Jet gold bronze luster, 4mm, 60 pcs. 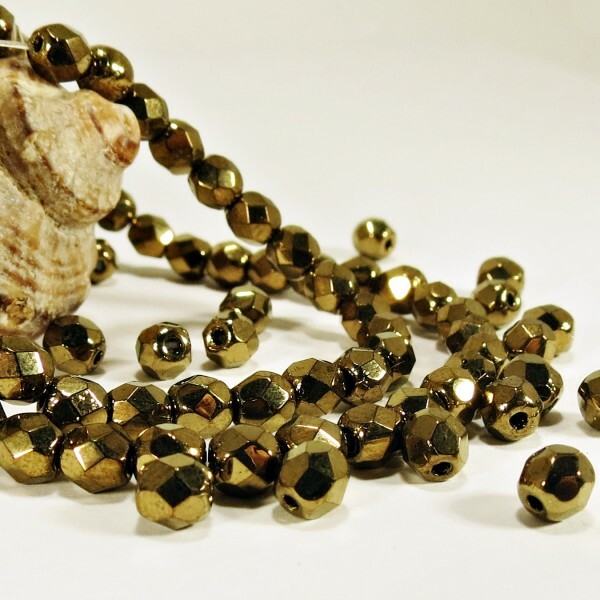 > Firepolished beads>Round 4 mm>Czech fire polished beads, Jet gold bronze luster, 4mm, 60 pcs. 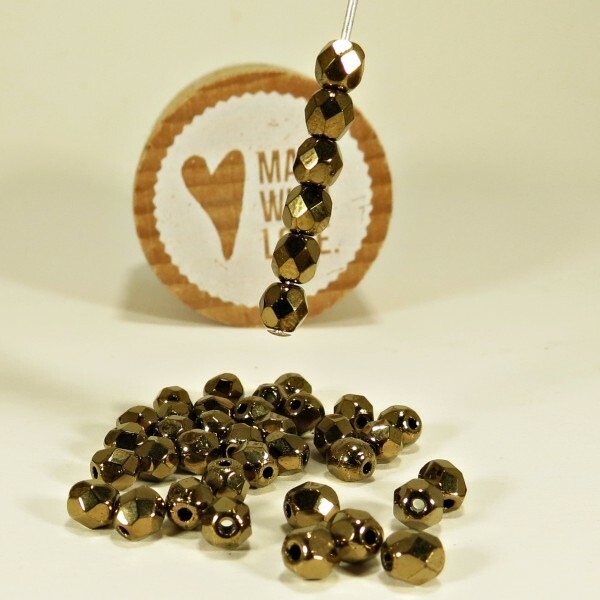 Czech fire polished jet black beads with gold bronze luster coating.